I recently made the switch to coding almost exculsively in Swift and I can strongly recommend it. I love writing in Swift but one of the recurring frustrations is the lack of a direct Swift String equivalent to NSString’s precision string format specifiers (e.g. %.02f). There are many ways to solve this but I wanted to create one that was Swift-y, graceful, responded to a user’s locale (or a custom locale chosen by the developer) and didn’t even require adjusting the type specifier based on the number type. 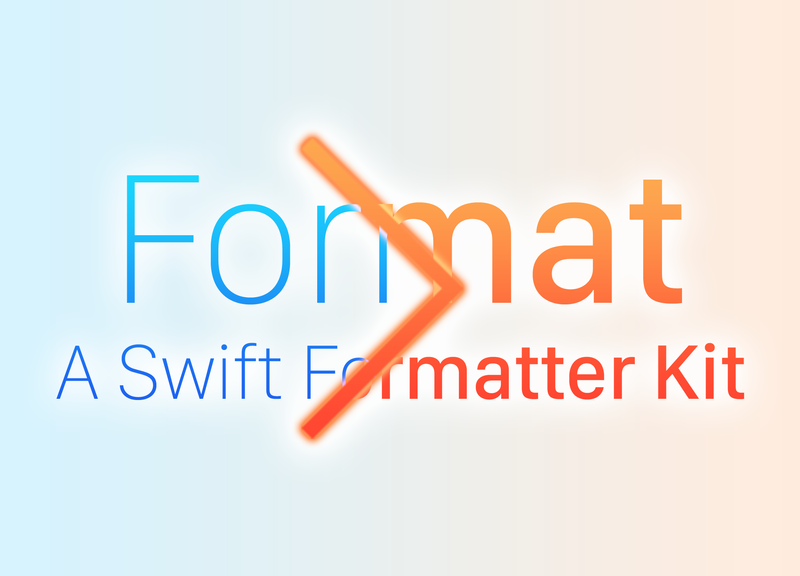 Format’s number formatter can be applied directly to any number type and is built on top of NSNumberFormatter but with a nicer and easier to use syntax. It also takes the locale into account which means that for an American user the above line prints 3.14 whereas for a French user it prints 3,14. As the framework grew into a Swift formatting kit, I was reminded of Matt Thompson’s awesome ObjC FormatterKit and thought it’ll be cool to be able to format other objects too. 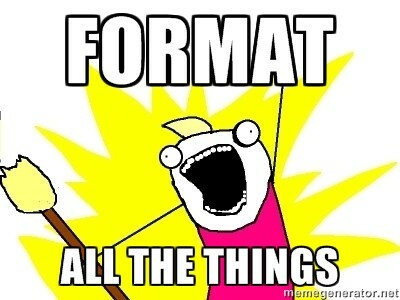 Format can now format addresses (there’s even a nice extension on CLPlacemark) and transform hex colors from the web to UIColors you can work with. More formatters will be added soon.